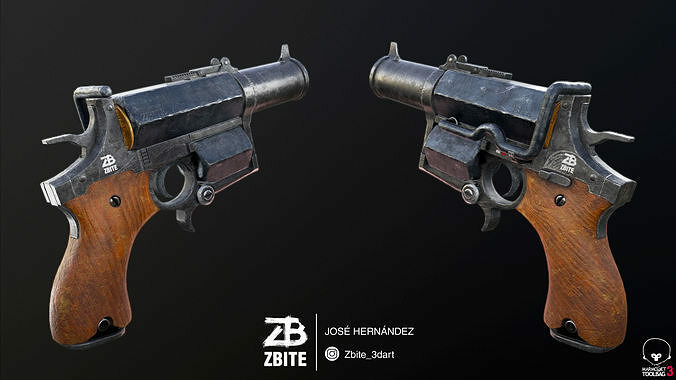 PRODUCT DESCRIPTION: Fan art Wolfenstein - The Old Blood, The Kampfpistol. 3d model ready for Virtual Reality (VR), Augmented Reality (AR), games and other real-time apps. Textures made for PBR shader system.